Home / MALAYSIA / politic / Mahathir on Loan From Japan. Mahathir on Loan From Japan. Mahathir: "It’s almost like free money. If you didn’t borrow, then you are stupid. So, I borrowed." There was an interesting article yesterday where Mahathir tried to rewrite history when trying to defend himself. As usual, Mahathir's replies were full of self-delusion and outright lies. 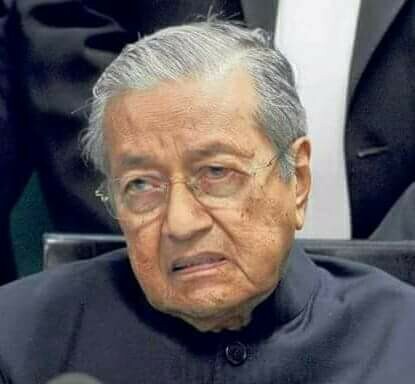 Dr Mahathir Mohamad denies the state of the Malaysian economy today is due to the lack of economic reforms when he was in power, iMoney reported. He was responding to an opinion piece written by the University of Chicago’s Dan Slater, who had said that the road toward Malaysia’s economic ruin started when he was prime minister and not with current Prime Minister Najib Razak. Slater had also accused Mahathir of not making the adjustments needed to pull the country out of its crisis, but instead burdening the state with more borrowing and spending. “That is not true. If the crisis was caused by me, I would have, during my 22 years, faced the problem of debt payments, recession and all that. No recession problem? Hello, there were multiple recessions and slow-downs during your 22 years - the 1985 recession, the 1998 recession, the 2001 slowdown all happened. How is it even possible for Mahathir to deny this and say that with a straight face? 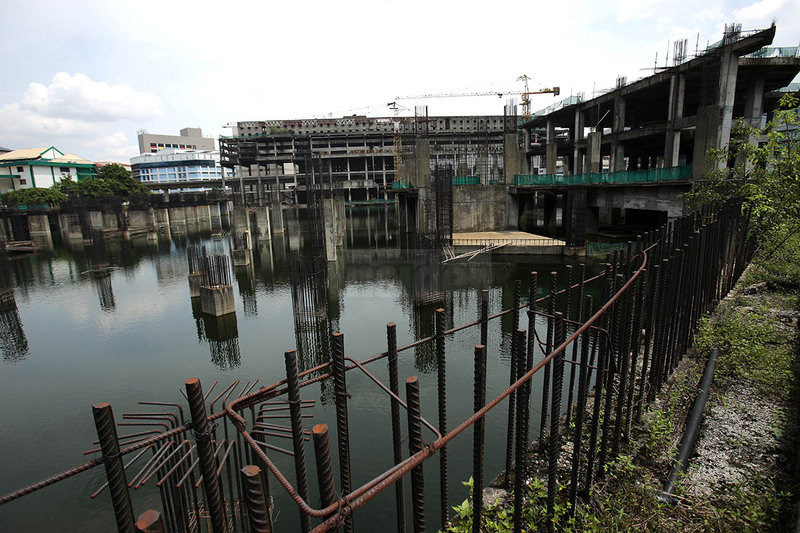 If he is still forgetful, all he needs to do to is to go visit Plaza Rakyat, Lembah Beringin, Duta Grand Hyatt and Bandar Wawasan (Vision City), which were among dozens of developments abandoned due to the 1998 crisis. 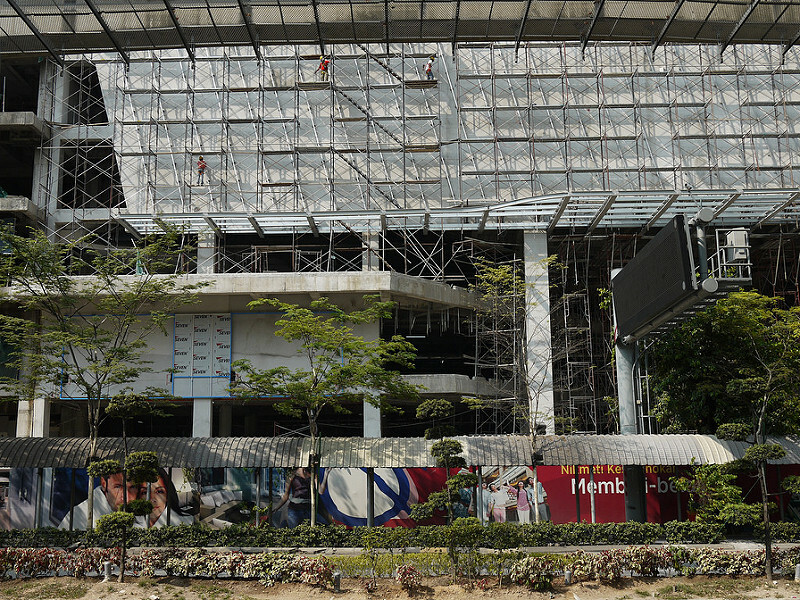 After almost two decades of being abandoned during Mahathir's time, Plaza Rakyat is only now being rescued and revived. 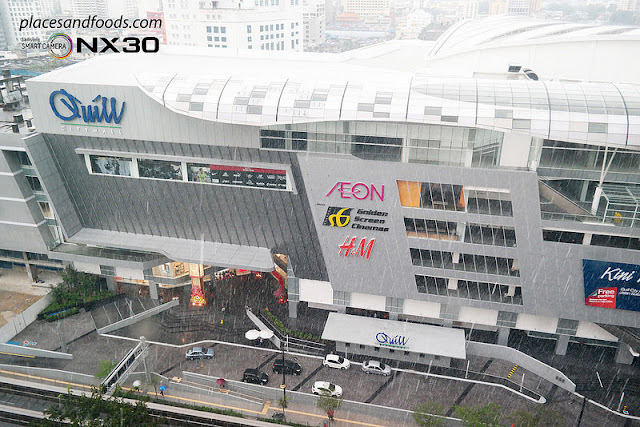 This would be similar to the rescue of Bandar Wawasan, which has now become Quill City Mall in 2012 after DBKL had ordered that all abandoned eye-sores in Kuala Lumpur be rescued..
Mahathir left Vision City like this. Revived in 2012 during Najib's time to become like this. Open's today. From abandoned developments, neglected development of Sabah, Sarawak and the east coast of peninsular, tolls, capital controls to IPP power plants, public transportation and economic rebalancing, the current Najib government has to continue correcting all of Mahathir's mistakes and wrongs. On the issue of borrowing, Mahathir denied having made extensive borrowings during his 22 years as prime minister. Mahathir admitted he had even tried to borrow when the country faced the currency crisis in the late 1990s but failed to get the funds needed. How about a 235% jump of our debt-to-GDP ratio within the first 5 years of taking over? Yup.. 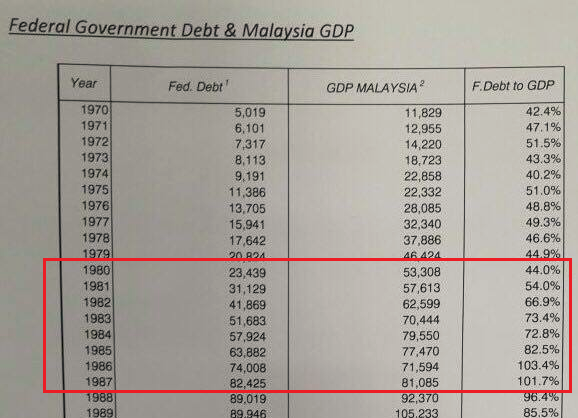 In 1985, thanks to Mahathir our Debt-to-GDP ratio more than doubled to 103.4% from just 44%. Worse was that, unlike today, much of those borrowings were in foreign currency. That year, if our country's income was RM100, we owed RM103.40 - the so-called technically bankrupt then. How did Mahathir forget this? Compare this with our Debt-to-GDP ratio today of 53.6% - meaning if our income is RM100, we comfortably owe RM53.60. Also, remember earlier when Mahathir said "no recession"? Well, if no recession then why did you have to go beg Singapore, Japan and others to borrow? And of course Singapore rejected your request since for decades you had been whacking them. “Please show when did I borrow money. I only borrowed money from the Japanese because their offer was at the low interest rate of 0.7%, and it was repayable over 40 years. “It’s almost like free money. If you didn’t borrow, then you are stupid. So, I borrowed,” he told iMoney. On June 1, 1981, 100 Japanese Yen was equal to RM1.06. Since ALL of the borrowings that Mahathir borrowed on behalf of Malaysia from the Japanese (and he borrowed a lot) were all denominated in Japanese Yen, the 3 1/2 fold appreciation of the Yen during his time made the borrowings super expensive since Mahathir neglected to hedge or manage this currency rate. For example, a RM50 billion borrowings in yen would end up costing RM150 billion. Rahman claimed that Mahathir had borrowed substantially from Japan, with loans denominated in yen. However, the subsequent appreciation of the yen’s value had caused significant losses to the country. Yes. We learned - thanks to Mahathir. Malaysia now have very small amounts of foreign-currency denominated loans. The yen's ascent to record levels is straining the finances of East Asian governments that have borrowed heavily from Japan and now must pay Tokyo back in a now more expensive currency. "We tried to renegotiate the loan in order to reduce slightly our debt burden to Japan," Prime Minister Mahathir bin Mohammad of Malaysia said in a recent speech in Japan. But, he added, "We were not given even one yen reduction." “It’s almost like free money. If you didn’t borrow, then you are stupid. So, I borrowed,” said Mahathir. And Mahathir said the above only yesterday - not many many years ago. Now that history has shown otherwise, who the stupid now? The only stupid ones are those who still believe in your never-ending lies and denials. Umno resorting to racial games is a sign of desperation, says DAP Secretary-General Lim Guan Eng. He said unlike Umno’s current president Najib Razak, Dr Mahathir Mohamad had never resorted to such a “dirty tactic” in all his 22 years leading the party. “Mahathir, at the Umno general assemblies in his time, never painted DAP as his number one enemy. “He didn’t have to do this as he was able to manage the country and its economy well. It is as if we were all in coma for 22 years or we all completely forgot what DAP had been saying about Malaysia - the time-bombs, the failed states, the mega-scandals, the economic crisis of 1985 and 1998. No RM30b Forex scandal, no crony IPP, no Bumi policy "stunting" our economy, no PKFZ mega scandal approved by Mahathir. Nothing. And also Mahathir never called Lim Kit Siang or DAP as racist. Never before. Suddenly, just because Mahathir is now on their side, Lim Guan Eng now says Mahathir was never racist and had managed the country and economy well for 22 years. How much more unprincipled can you be? I pity those DAP supporters forced to listen to his blatant lying. LGE and DAP are devoid of principles. That means whatever you all have been saying for 22 years in the TENS OF THOUSANDS of ceramahs, statements, interviews were total lies, right? So, why should anyone want to trust DAP anymore? DAP also assumes we are stupid?